Whilst in Tokyo a couple weeks ago, I finally got to check “Get a Gankin Massage” off my makeup bucket list thanks to friend and fellow SUQQU addict Christine who made the appointment for me. Thank you again, Christine! 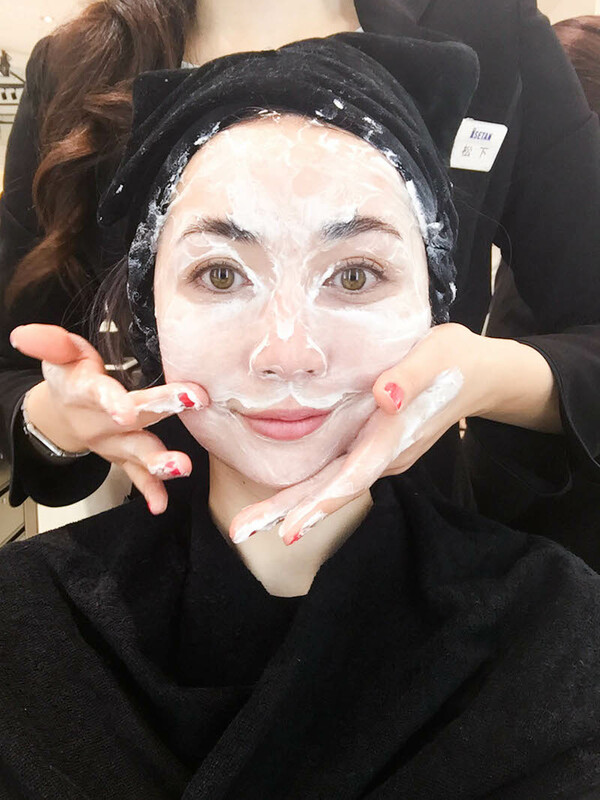 The massage started with all my makeup being removed…in public…at an upscale department store in downtown Tokyo…on a super busy weekend. I was suddenly very glad to be doing this on vacation, because I’m definitely not brave enough to be bare-faced where I could run into people I know! 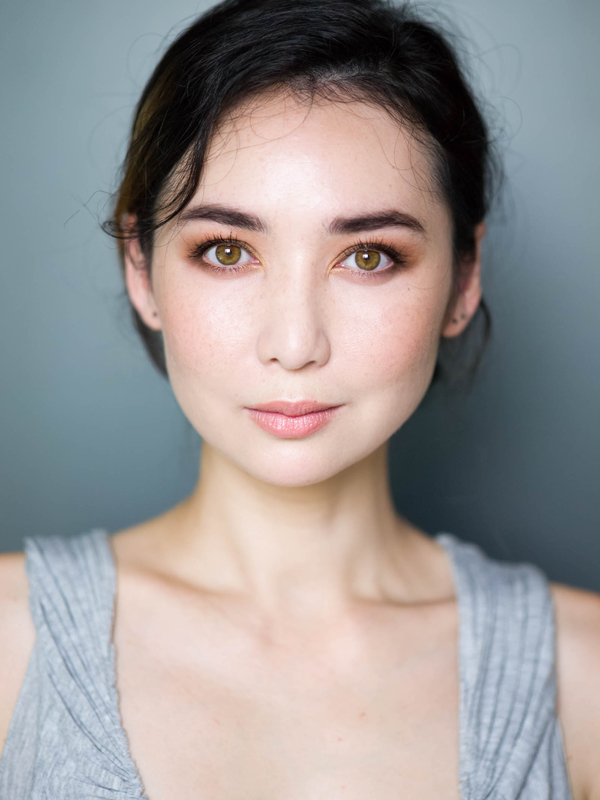 Once my skin was completely clean and I was bundled up in towels to protect my hair and clothing, the lovely Ms. Matsushita scooped out a generous dollop of the Musculate Massage and Mask Cream and got to work. Sorry for the dodgy photo quality in this post – Adam was off shopping so I had to rely on my iPhone. I was expecting it to hurt (because improved circulation and fluid drainage are the goals here, and that wont happen with feather-light stokes!) but it wasn’t painful – just very firm. Then again, I give myself regular facial massages which have no doubt desensitised my chipmunk cheeks to persistent kneading. I’m typically more gentle on myself though, so this was an eye-opener in terms of how much more pressure I should/could be exerting on my own face. You can watch this how-to video to get the gist of the massage. It’s easy to replicate at home, but truly luxurious when someone else does it for you. I highly recommend it! When I was asked how my face felt after, the only word that came to mind was “lighter”. I chalk this up to a serious backlog of carb-bloat fluids finally being drained from my face. It felt as if my face – both skin and muscles – had been thoroughly rejuvenated. While I’m used to my body feeling this way after a massage, experiencing that same sensation in my face was quite a revelation. After the massage, excess cream was cleaned off my skin and Ms. Matsushita did a light round of skincare. It was intriguing to note that she patted on a liquid lotion after moisturiser – western skincare usually dictates an application order of ascending viscosity, so this was new to me. The other really interesting bit was when I noticed that the eye cream she used on me was actually two different products in one split jar. Christine explained that this was because the needs of your eyelid vs under-eye area are different, hence the requirement for different treatments. Brilliant, right? Turns out it’s called Dual Eye Balm (natch) and I’d have snapped it up in a heartbeat, were it not for the fact I’m still working through an existing jar of SK-II eye cream. One of my resolutions for 2016 was to NOT buy backups of products I already own, and I couldn’t very well cave on a resolution within the first two weeks of the year! 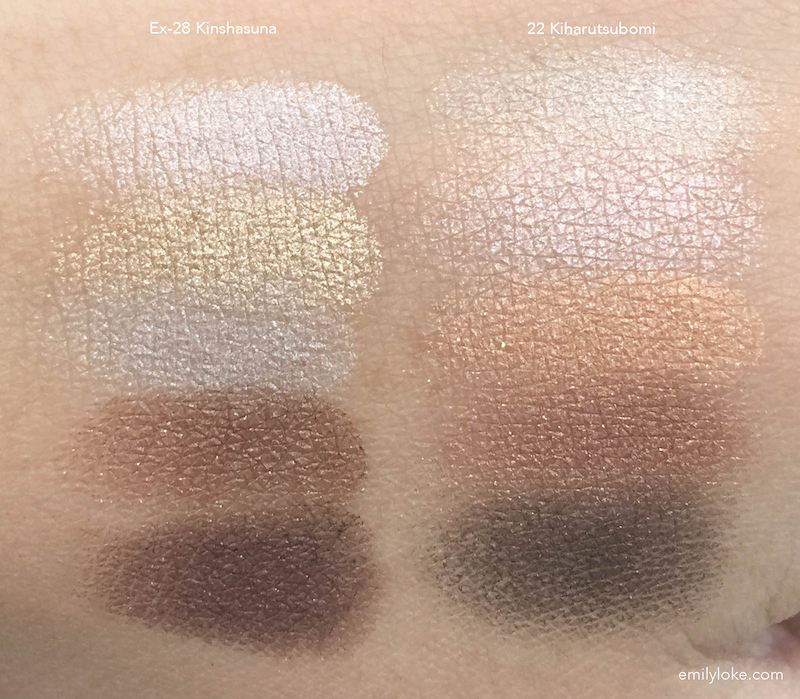 To distract myself, I swatched the Blend Colour Eyeshadow Quads. 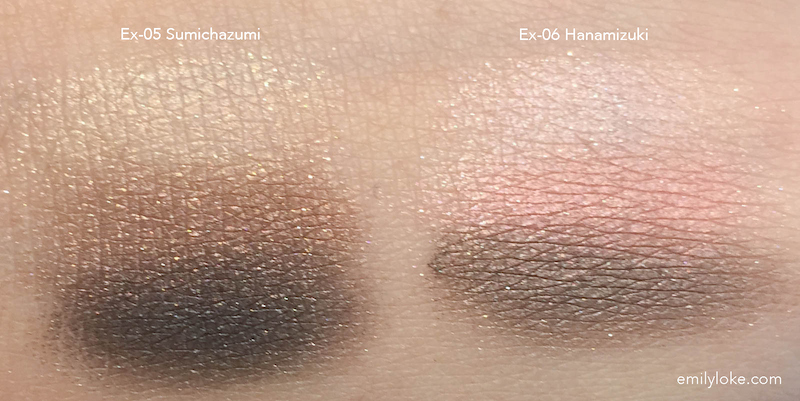 Of course I had to poke at the new eyeshadow trios as well. On a whole I really enjoyed being exposed to such a different aesthetic, but if there was one thing I wish had been different it would be how the base products were applied. 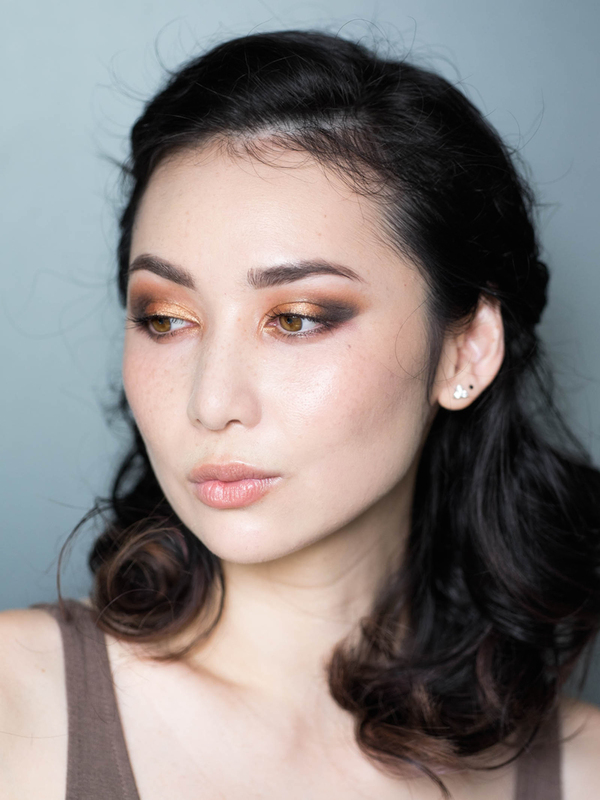 Despite the use of foundation and concealer, my acne scars and hyper pigmentation were still visible at the end of the makeover. I’m hugely self-conscious about my skin, so this overly light approach was not for me. Thankfully I carry concealer in my purse, so once I found a bathroom it was an easy fix. I liked the final look a lot more afterwards! 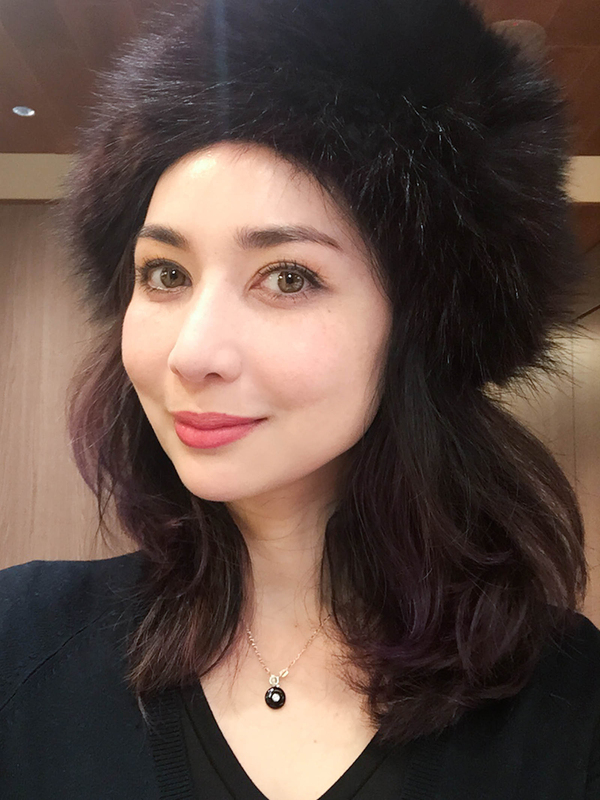 And that wraps up my very wordy recap of what happened at the SUQQU counter in Tokyo! Stay tuned for a review and my FOTD interpretation of this palette, which will be up soon.